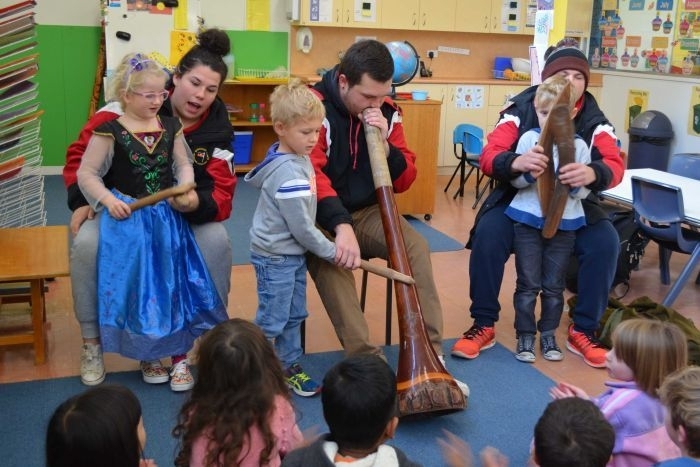 Every week siblings Nakiya, Bevan and Dylan Smith visit preschools, primary schools and even universities around Canberra to teach students about the cultural heritage of the Wiradjuri people. “We do the dances of the Wiradjuri, the art, the music all comes from Wiradjuri because dad’s Wiradjuri,” Nakiya Smith said. The three started performing with their father, Duncan Smith, under the name Wiradjuri Echoes when they were still in school. “[Dad] always said that the echo is because we’re echoing into the future,” Ms Smith said. “Dad always wanted us in culture and not in the streets so it’s kept us really grounded and kept us in schools and doing things we love,” Bevan Smith said. Now, the three siblings are continuing in their father’s footsteps taking the Wiradjuri Echoes program out across Canberra. “To me it’s not work, going out with your family everyday,” Dylan Smith said. “Not many people can say they do that and have fun while they’re doing it and showing what our culture is like our family. Bevan Smith said the Wiradjuri Echoes performances were an important part of fighting racism and teaching tolerance. “When I was in school the culture wasn’t there, there was more racism, people didn’t understand my heritage,” he said. “Now you see the kids, they soak it up like a big sponge, they love it. And the performance is not just fun for the kids. “Oh it’s so much fun,” Ms Smith said. 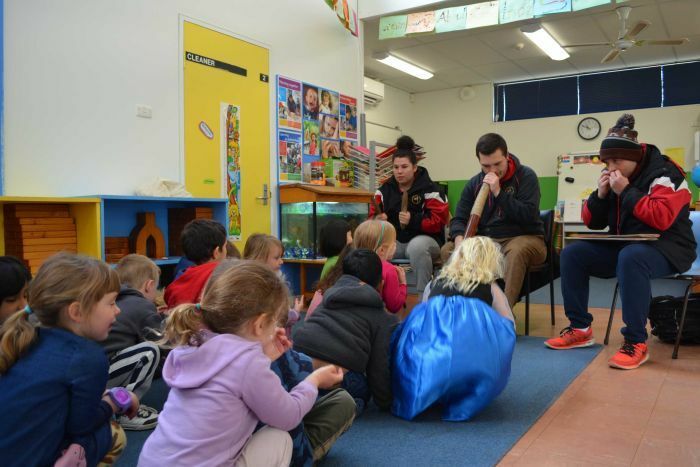 Ms Smith said the most rewarding part was seeing the students learn and remember Aboriginal language and culture. 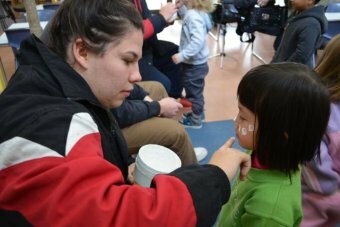 “[The kids] get to know all the different artefacts and the language that comes with it and eventually, after we keep going back, they start knowing the language and they know what it’s called,” she said.